Ken is responsible for all client business development, management of staff and resources for Wohlsen’s Connecticut Region. Ken also provides leadership to Wohlsen’s senior living market. With 30 years of experience, he has worked as a provider, developer, consultant, and construction executive in the senior living market. Before joining Wohlsen, Ken worked for national not-for-profit, multi-facility organizations in the roles of Executive Director, Vice President of Project Development, Vice President of Operations and Chief Strategy Officer. Ken also served as principal and partner at two national consulting firms. 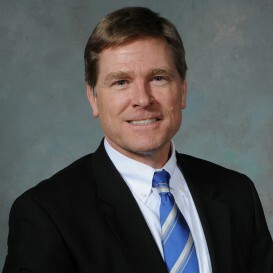 His consulting experience includes providing project development, strategic and master planning, operations management, and marketing services to senior living organizations throughout the U.S.
During his career, Ken provided development and operational leadership to numerous retirement community start-ups, as well as to major senior living repositioning projects, representing over $700M in construction. He brings this experience to Wohlsen’s clients and ensures that all potential challenges are identified and understood before the start of any senior living project. Ken also serves on Wohlsen’s Senior Management Committee and Strategic Planning Committee. He has served numerous civic and industry associations including Rotary International, local Chambers of Commerce, LeadingAge (National and State affiliates), and CARF-CCAC. Ken holds a Master’s of Business Administration degree from Loyola University and a Bachelor of Arts degree from North Park University.